Even Quattro all-wheel-drive couldn't get this German driver out of this mess. 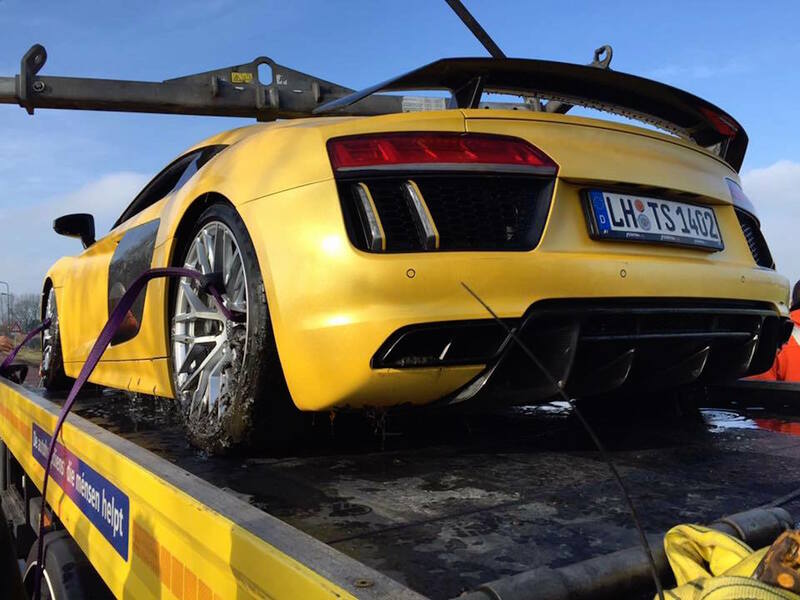 A German man had a less than pleasant Sunday, when he drove his new Audi R8 V10 Plus into a river in the Netherlands. 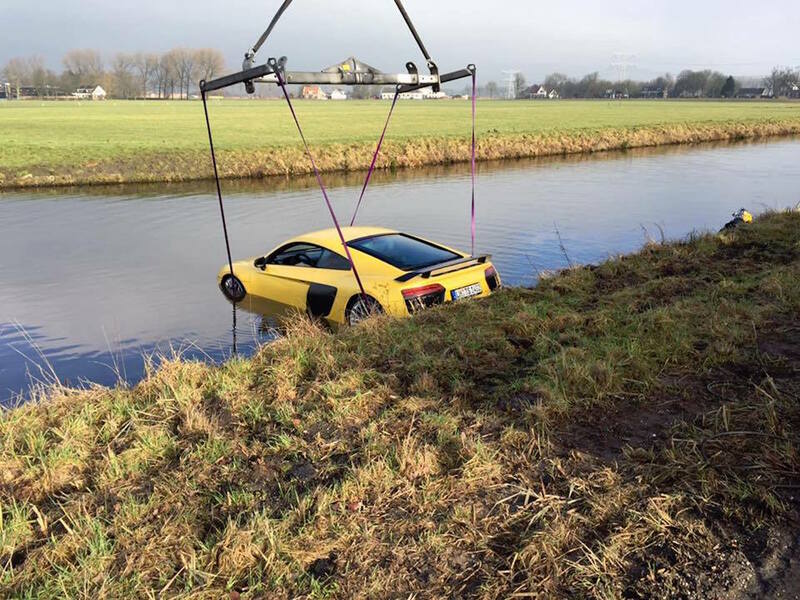 The river, which is about 10 miles south of Amsterdam in an area between Abcoude and Loenersloot, swallowed the car after it landed, but its driver was able to escape before becoming trapped in the supercar. Though the motorist was cold and drenched, he made it out of the mess without injury, Carscoops reports. 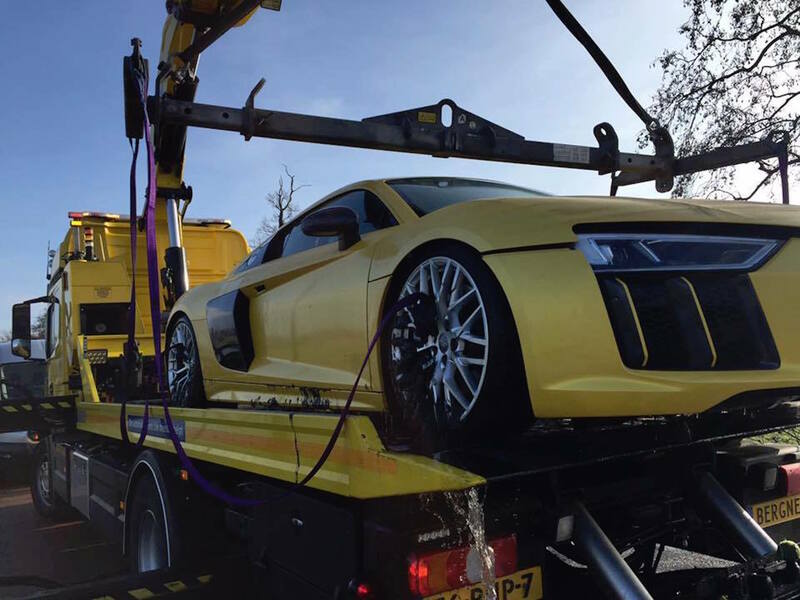 From the looks of things, there was no real damage or severe body damage done to the R8. But considering how deep the supercar was submerged, this Audi will almost definitely be marked as totaled. From the pictures that were taken of the scene—captured by Marc Brugman‎ and uploaded to the Gumbal Facebook page Sunday evening—you can see that the whole car was underwater. 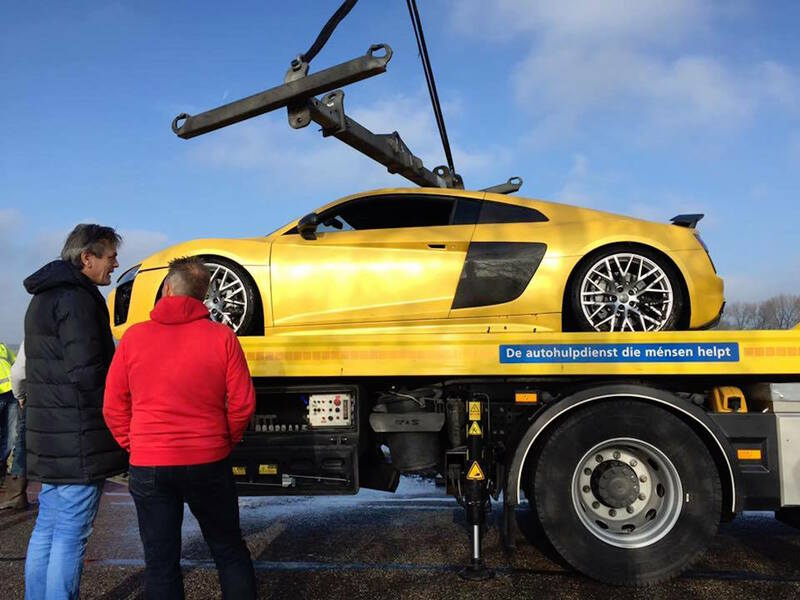 It's usually not worth it to try and save a car after that...even one as nice as this R8. 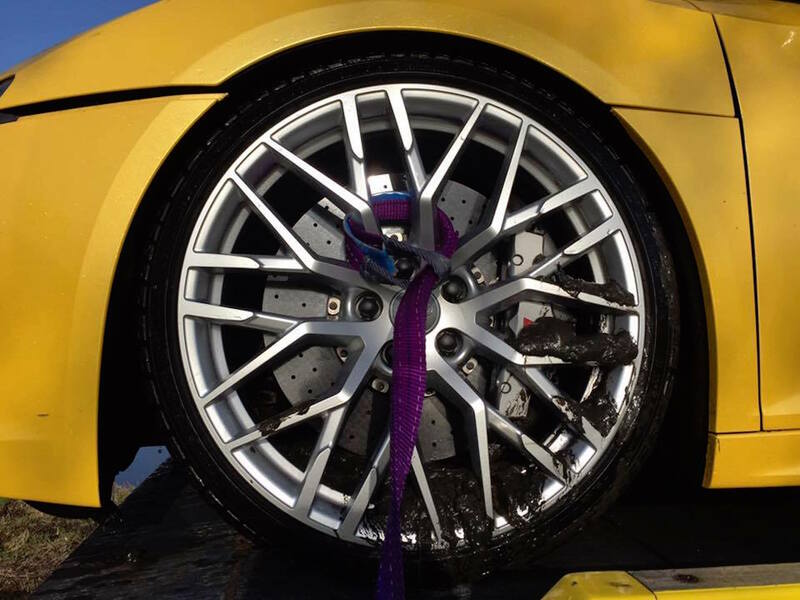 Check out video below of the supercar being pulled from the river.